Home after a month of vacation and what a welcome this is in Territorio Era. 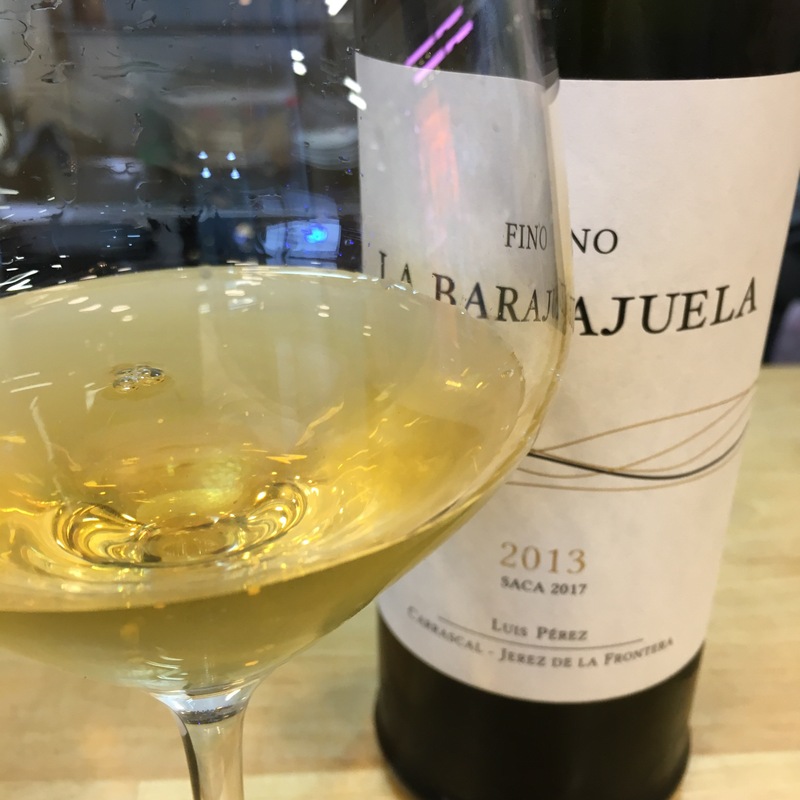 A second saca of the great Barajuela fino of 2013 which seems even bigger, even more fruitful and powerful than the first. A rich oldish gold colour and an equally rich, honeyed nose with just a hint of undergrowth: mature apples packed in straw. On the palate it is just epic – that lovely fruit first up, then an explosion of zingy mineral power and flavour, fading to a long, long, mouthwatering finish with a cracking combination of mineral sizzle and concentrated fruit. Absolute class. There is no place like home.